A variety of resources that help you explore inner worlds and gain vast spiritual knowledge. Samuel Sagan, founder of the Clairvision School, is the author of 15 books, some of which are available as a free download. Some of them are manuals, such as A Language to Map Consciousness, Awakening The Third Eye and Regression, Past Life Therapy for Here and Now Freedom. Others are novels, using the storytelling format to pass on teachings about meditation, the Atlantean Secrets series and Bleeding Sun. 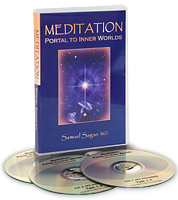 Guided meditations feature Samuel Sagan's extraordinary music, designed to engage clear and tangible sensations in the third eye and enable you to experience high states of consciousness. The Knowledge Tracks are specially designed practical courses to be done at your own pace at home. As with all Clairvision work, their focus is primarily experiential. Therefore, students are taken through a wide range of techniques, guided meditations and practical exercises so they can 'see for themselves, and know for themselves'. They also explore a variety of topics centered around inner vision, meditation, self-knowledge, and spirituality. 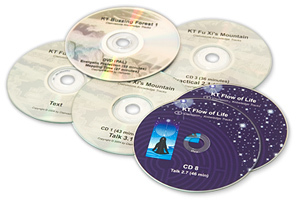 Apart from being correspondence courses, the Knowledge Tracks are required learning material for people attending courses with the Clairvision School. Music is an immensely powerful language when it comes to conveying feelings, impressions and visions. The purpose of the musical images is to pass on more than what can be expressed through words only, connecting the listener to spaces of consciousness. When Samuel Sagan created the saga of Atlantean Secrets and Bleeding Sun, he didn't first write a text, then music to go with it. Rather, the flow of writing emerged out of the music. Similarly, during meditation classes, he often makes use of music (played live) to create spaces of connection to high spiritual beings and Archive dimensions.